Want to 10x your MSP? Some people say that 10x’ing your business is easier than doubling it. Doubling it requires you to make continuous small improvements. You’re using your current people, processes, and capabilities but just trying harder. Striving for 10x growth, on the other hand, requires whole new levels of creativity and innovation. It means making massive steps forward in your businesses efficiency, your resourcefulness and value creation you create. In today’s episode of the IT Provider Network, I am going to share with you 3 changes you need to make in your mindset to set you up for 10x growth. Then I share with you five actionable items you can use to achieve it. The first thing you need to evaluate is who are you hanging around with? Who are you spending your time with? Motivational speaker Jim Rohn famously coined the phrase that we are the average of the five people you hang around with, the five people you spend the most time with. Rohn’s rule suggests that the five people you spend the most time with shape who you are. Its based on the law of averages, which states that “the result of any given situation will be the average of all outcomes.” Were in business, we know many people, but the few who are closest to us have the most significant impact on our way of thinking and our decisions. I would add that I have always felt the 5th person is you. Your thoughts, fears, and conditioning greatly affect your ability to succeed. Free yourself from the relationships that are holding you back. Free your mind from the messes you have made over the years. Try to up-level the people around you. I hate to say “up-level” but find people that have traits or skills that you need and admire and get close to them. One of the best ways to do this if you don’t have a large circle of friends or if you live in a rural area is by joining a mastermind group. I think of a mastermind group as a group of like-minded people that are equally vested in their success and want to share with others like them. Get out of your office, go work from a conference room. Change your surroundings, your peeps and start to change your life. You need confidence and confidence isn’t something everyone is born with. It’s a muscle and one way to exercise it is to continually celebrate your wins and use them to gain insight into how you can improve your efforts in the future. Every Monday our leadership team has our weekly huddle. We start it off by going around the room and sharing 5 minutes of personal and professional good news from the previous week. For over a year I struggled to share some good news with the team, our meetings are on Monday and I honestly couldn’t remember anything that didn’t occur in the last 24 hours. Sad but true. My achievements for the week were gone from my memory. When I started thinking about it, the problem was much bigger than my weekly huddle. I had no written record of my achievements or my company’s achievements, of my wins, of the company wins. How could I adequately celebrate our wins and tout our accomplishments if I couldn’t remember them? From that point on I started jotting down achievements in my one-note as soon as they happened. There are lots of ways to do this including a daily journal. For me, I just make a note in an ongoing one-note page and then I have it to refer to. Break down your activities into smaller tasks so that you can celebrate each task being completed as a win. For example, if you had a new years resolution to get to the gym, don’t just put “go to the gym” on your task list. Put get a water bottle, check. Lay out clothes, check. Charge Headphones, check. Plan workout routine, check. Drive to Gym, check and finally Lift More than before, check. By breaking this down, you have much more opportunities for l wins, all of which help build confidence. If you did everything except walk into the gym, you would still have five wins for the day! Use this same bite-sizing technique for your teams so they all experience wins. If you do find yourself getting stuck, learn to accept that. You don’t need to like it but you do need to accept it. Don’t be afraid of obstacles; obstacles are a normal part of moving forward, of goal setting. Stop letting these obstacles stop you in your tracks, focus on ways to overcome them and use the results to build better relationships with yourself, employees, clients, and vendors. Deliver 10x the value for your MSP agreements. Have you developed a product your selling for $200? Make sure it’s worth $2000. Got an MSP agreement you sell for $1499 a month? Deliver 15,000 a month in value to your clients. Would people pay almost a $15,000 bucks for your service? Maybe but most likely not! But that’s not the point; the point is that you need to deliver $10 worth of value for every dollar you charge people. Strive for every call, email or visit to give a tremendous amount of personalized, friendly attention. Remember people’s birthdays and send out Christmas cards. Give your prospects and clients GOOD content. Give them THOROUGH guidance on anything you sell them. Make personal time available to them if they have any problems. Spend every single day looking for ways in which you can give your customers more value. If you keep striving and stay focused, you’ll eventually have the most valuable managed service and your competition will be standing there with their heads spinning wondering what you are doing that is making such an impact. If you go back to episode 23 of the IT Provider Network, ConnectWise IT Nation 2017 Key Takeaways where I recap Arnie Bellini’s keynote speech at IT Nation 2017. He talked about really “embedding” yourself into a customer. Doing this by genuinely implementing the products and services that you sell. Go back and review that episode and Arnie’s keynote and start delivering more value. Work 10x smarter than anyone else. That doesn’t mean working longer, though sometimes it says working harder. What it really means is that you must be willing to do what no one else is willing to do. Remember that the key is building your MRR, your book of business. Bringing in new customers and having more clients to sell to. You need to be consistently investing in your company and looking for ways to be more efficient. If you are still thinking you can run you MSP without a PSA or an RMM or a documentation engine, you’re wrong. You will never be able to 10x your business.When someone else is avoiding work, you need to be working. When someone else is watching TV, you need to be prospecting on LinkedIn. When someone else thinks they’ve become an expert in what you think your genius in, you need to be hitting the books and learning. Look at the friction points between you and your employees or between you and your clients. Is it worth winning the battle to lose the war? Did you take away your client’s Easy Button? If you want to 10x your business, you need to think outside of the box. 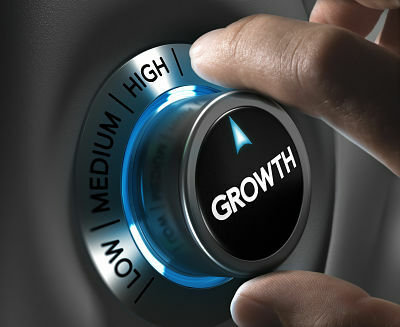 Incremental changes are not going to get you 10x growth, significant changes are. Set goals 10x higher than you ever have before. Do you even have goals? Are they written down? Or do you just get up and do the same thing every day? Without goals and the habits to achieve them, you’ll never make 10x growth. At some point you struck out to start your MSP and to build your own fortune, so why settle for less? Set huge goals, big hairy audacious goals and let them motivate you to improve yourself and your business consistently.Want to own a massive house in the Caribbean one day? Put some motivational pictures on your wall and look at them every day.Want to sell your company someday and start another or relax at your island? Spend a little time daydreaming about the ways that would feel. .There’s nothing wrong with daydreaming, the matter of a fact is that it’s beneficial. It helps cement the image in your mind and will work to help you achieve it. The worlds most successful people, the ones who have made the greatest things have dared to have the highest dreams. Just having goals and dreams are not enough to get you there, not without building habits and rituals. If you want to get good at something you need do it, I think you need to do it daily. Read The Power of Habit by Charles Duhigg or The Seven Habits of Highly Effective People by Stephen Covey. Habits are the keys to achieving goals. Keep reminding yourself you need to work on your business not just in your business. Schedule your growth, put it on your calendar…daily. Don’t Just Know More, Know 10x more than anyone else. You’re not going to be the best MSP in the world because you accidentally stumbled into it. There is only one way to get there, and that’s to work to become the best in what you do. Look around at some of the world’s most successful people. They are the world’s leading experts in what they do, because they do it, every single day. It’s like being a parent, you don’t get a day off. What does this mean for you? It means you have to be a lifelong learner. You’re listening to this podcast so you probably already live this way. It means you have to take time away from the office; you need to attend meetings and seminars. It says you have to get a mentor or mentors. You need to invest in yourself continually, daily. It means you need to become the absolute expert on what you do, on what you know. Become a lifelong learner and never think you know enough. You don’t.Having said that, “you’ll never know enough”. I don’t think anyone ever wakes up and thinks, “Hey, I’m good. I know all I need to know”. You never know enough. Don’t let that stop you. So many MSP’s I talk to think they don’t have [insert the excuse here] something to get started. Either it is they don’t know enough, they don’t have the right people, they cannot find a suitable partner. Whatever the reason is, and it might be a real reason don’t let it keep you from starting. This podcast is an excellent example of that. Am I the best podcaster? Far, far, far from it but I knew if I didn’t start I would never get better. So I started. And the last thing I want to talk about is that you need to accomplish 10x more than your competition. To grow your MSP by 10x and make your dreams a reality, you’ve got to be an execution machine. It doesn’t matter how much you know, what you’ve learned, the certifications you have, how much you want it, or how many amazing the ideas you have are. What matters is that you’ve done. What you accomplish is all that matters.Instead of focusing on how much work you have to do in a day, start focusing on how much work you’ll have done at the end of the day. Ask yourself every morning, “What will I get done today?”Every day you will have things that interrupt your day. Every day you need to do to run your business but you also need to carve out time for 10x activities. For growth. One idea is to carve out some 20-25 minute blocks during the course of your day and stay focused for that period of time. Carve out time every day for activities that will grow your business. This is called the Pomodoro Method. Google it, use it and then give yourself tasks that you need to do every day. Then start cranking it out. No one cares what you have to say, or what promises you want to make; they only care what you do.